Now a days mobile phone has become an indispensible part of our lives. They really improved not only the way we communicate but our life styles as well. Today’s mobiles phones If used correctly help improve your interpersonal relationships too. I would give you some simple tips how to use them for maximum effectiveness. Whenever you make an outgoing call, It is always better to think Who you are going to call, what you are going to say, How you are going to try to persuade and drive home the point and how to follow up if required. Be ready with the agenda and the key points that you want to highlight. Decide before making a call what you'll do if the person you are calling is not there. Use right salutations while calling people’s names. Imagine you are in a meeting or a training class. Suddenly someone’s mobile rings up. Not only does it look awkward but also causes lot of discomfort for most of the listeners along with the speaker. What happens if the mobile stopped ringing after 5 to 9 seconds? It really saves the day. 2. Give at least 5 to 10 minutes gap before trying again. 3. When you get a busy tone, don't just hang up. When you get a busy tone, don't just hang up.Give the opportunity to the caller to decide which call he has to take. If he feels your call is more important than the other call, he can keep the other call on hold and takes you call. When you are making a call don’t jump directly to the point. Some of my students make calls to me to confirm whether there will be a class or not on Sunday’s. The conversation goes something like this “ Sir is there any class tomorrow”? Now what answer I could give? I cannot recall the person just listening to the voice of the person as I take classes for scores of students. Give a brief introduction about who you are. For what purpose you made this call. If you think that the other person has little chance of remembering you, it is better to give some idea about when you contacted last time or when you met him last time etc. In some cases we have to introduce ourselves for a considerable amount of time. This is especially true when you are making a cold call. If you keep rabbiting on about yourself, where the receiver has some important work, It may not make a good impression. So after introducing yourself very briefly, Ask whether it is right time to talk or not. Now, If you get a positive reply, continue with the conversation, otherwise, take appointment when the other person is free to take your call. Remember, It is very important to follow up your call. Next time, make a call exactly at the agreed time. If you dial the wrong number, explain yourself and verify the phone number so you don't repeat the call. Don't hang up; that's just rude. If it is a scheduled call, Be sure you are free at that time. Use simple natural sounding English. Be friendly and have smile. When you are answering on behalf of a colleague or friend, let the other person know first. Ask the caller whether he can call later or would like to leave a message. Then take a note of the person’s name, company or purpose to make the call. There are times when you have to put the other person on hold. 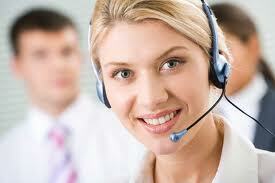 Cases like you are receiving another important call or you have to divert the call to another person. Be sure that you get back the caller for every 30 to 45 seconds. Once you get back thank him for holding online. Don’t forget to press hold otherwise your conversation with the other person may be heard by the caller. When It is very important to contact, and the caller is not available you can leave a voice message. While leaving a voice message, remember these things. Speak clearly and slowly than your usual speaking speed. Leave your name and mobile number. It's best to repeat your number at the beginning and end of your message. Cover one topic in one message. Be clear what you want the recipient to do. 1. If you are using a smart phone, Use Auto sms feature. This is a simple app you have to download. This preset message automatically goes when anyone makes you a call and you are unable to take it. 2. Latest mobiles give you an option to save your contacts to either sim, phone or any email. In android mobiles you can save your contacts to mail. In future If you change your mobile, You contacts are all safe.